The TA1800B is a fast pulse preamplifier with a small signal bandwidth of 1.8GHz. A unique feature for such high speed amplifiers is the DC coupling. DC coupling avoids count rate effects due to non DC balanced pulse trains and the corresponding coupling capacitor charging. A test with a 30mVP-P pulse and a P7889 100ps TOF analyzer showed an improvement of 10…15% in peak width (FWHM) when a TA1800 was used for amplification of the small pulse signal. 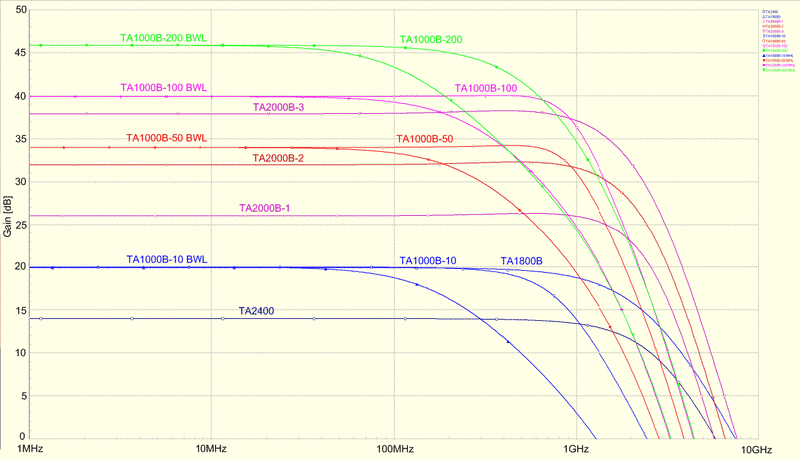 Outputs: BNC, low impedance, DC coupled VOUT = +/- 1.3V max, IOUT = +/- 150mA max. 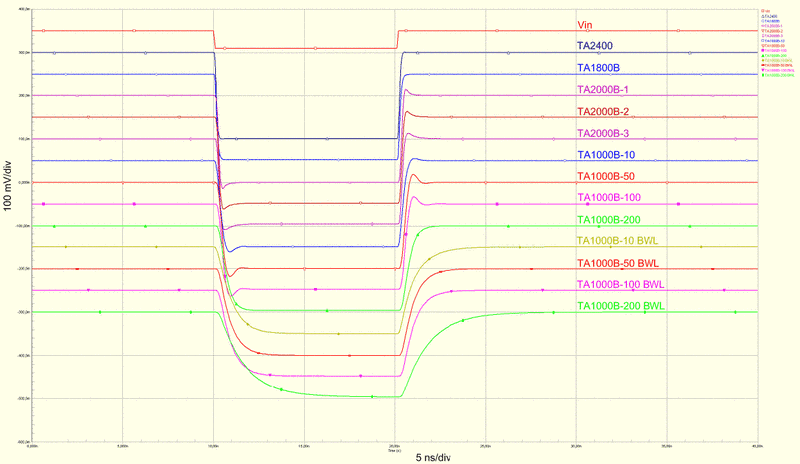 Input offset voltage: 5.25mV max., +/- 20 μV/°C typ.